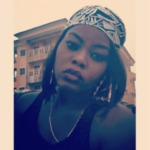 Ngee LOVE – After the successful release of her debut single in November 2018, Gospel music sensation NGee comes through this time with a Mind Blowing song titled LOVE. NGee’s love for God is infectious as she sings LOVE. in this very appealing and contemporary jam and just lavish your love on God. LOVE was produced by Fredibeat, Mixed & Mastered by Sam Odus.